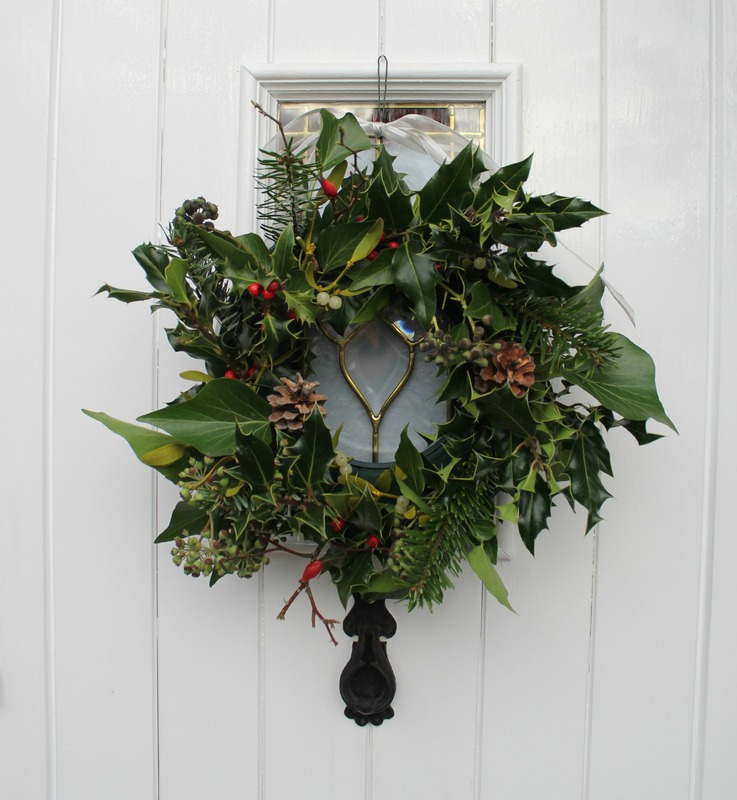 It’s been a hive of festive activity at the Agents of Field HQ this past weekend; we bought and decorated the Christmas tree, foraged in the hedgerows for holly and ivy and other greenery with which to deck the halls, and created a homemade wreath for our front door. And it’s all looking just glorious! This year, we chose a very handsome Nordman Fir tree. We’ve named him Branwell (prompted by a recent discussion about the Brontës) and he’s looking resplendent in all his tinselled majesty. 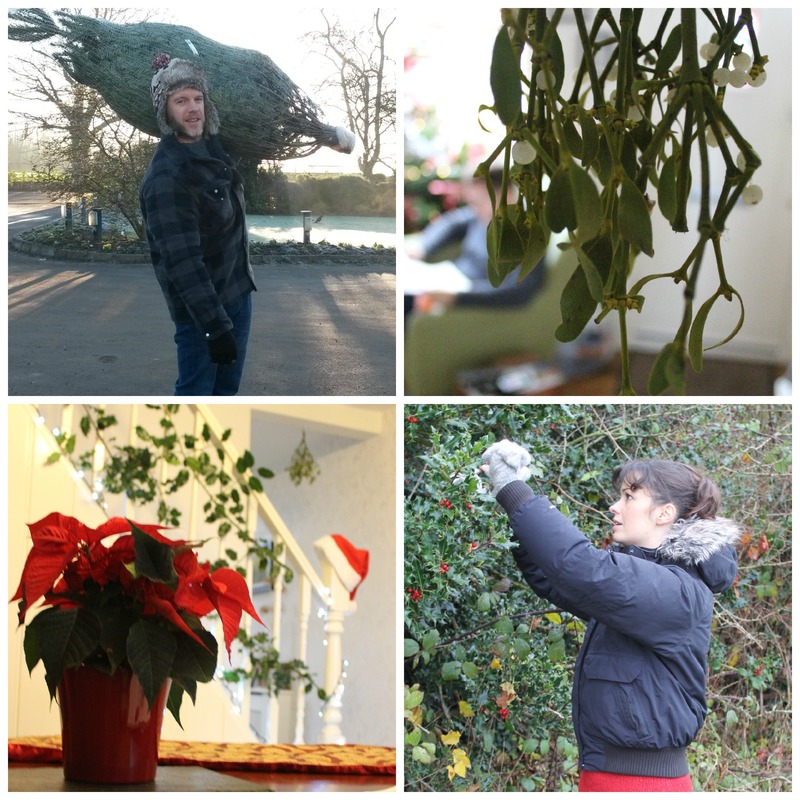 The rest of the house is festooned with boughs of greenery I collected from the fields just beyond our allotment, mostly holly, although I managed to find a little ivy as well. I also stumbled upon some small bunches of mistletoe at the nursery where we bought our tree, so a bunch of this now hangs conspicuously in a doorway, awaiting the moment when I can propel myself at an unsuspecting Ade. I always think natural decorations are preferable to gaudy tinsel. I mean, sure, the tree looks good with a bit of bling, but we like to keep the rest of the house fairly natural; a poinsettia is the perfect centrepiece for our table, ribbons of holly and ivy deck the mantelpiece, but the pièce de résistance is the homemade wreath that graces our front door. I soaked the foam in water for a few minutes to begin with, before curling the wire around the ring and making a hook for the door. I pushed berried holly sprigs into the foam ring at the 12, 3, 6 and 9 o’clock positions and filled the spaces in-between with the rest of the greenery and the pine cones. I finished by tying the ribbon around the wire hook. Once Christmas has come and gone and the party is well and truly over, I plan to dismantle the wreath and the greenery will be popped in the compost. I’ll rescue any berries and put them on the bird-table and the foam ring will be used again next year. BEAUTIFUL! I love your style – I’m interested to see what you did with Branwell. Great idea about putting the berries out for the birds – thanks! I’ll do the same once our wreath is no longer needed. I’m impressed…..so simple, but so classy. Top marks.